It's been three weeks since Albion Online's Galahad update came out. Sandbox Interactives has since ceased to recover the opinions of players to improve again and again its MMORPG Sandbox. And although the feel of the players as to this latest redesign is positive, these developers still want to add content. Today, the studio reveals several tracks on which it works in order to balance the game and offer more opportunity to the players. A nerve center for the smooth running of a game like Albion online, guilds are difficult to manage at the moment. Sandbox Interactive is currently working on the subject, hoping to add many options to guild management in order to simplify the lives of their members. Among these options is the ability to customize the ranks of the members, but also the appearance of a guild chest and an internal currency to the guilds, among other things. In addition, members who manage the guild will be able to rely on logs allowing them to see more easily who does what and how (transaction and activity register). The addition of a manufacturing list is also provided to plan the creation of an object by providing the resources. One of the developers' optics is that 100% of the items in the game are made by the players. To this end, they are currently working on a black market providing weapons and armor looted by monsters in PvE. These loots would not add items to the world of Albion, but would be provided by the players themselves, through a corrupt merchant. The latter would buy all the items (on a supply and demand basis) and would inject some of his purchases into the monsters' loot tables. Obviously, some of the items sold would disappear, creating a gap between production and use, which would allow the game economy to keep up. This project involves some modifications in the crafting and refining mechanics, such as the disappearance of essences as an enchanted refining ingredient, or the refined resources of the loot tables. 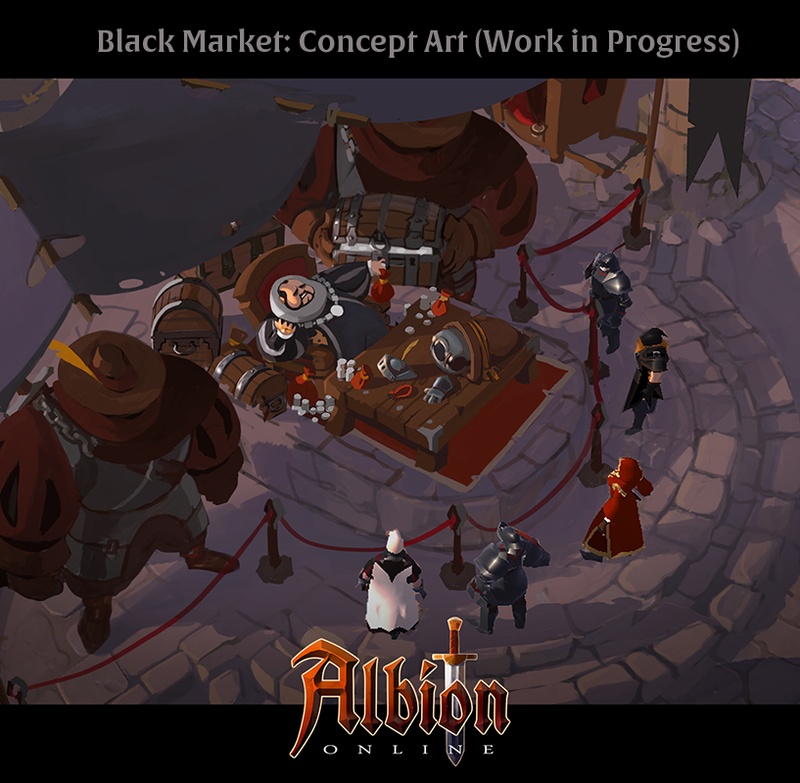 Developers seem very enthusiastic about this black market which will strengthen the link between pve and refining / craft. It should be noted that black market prices are apparently not fixed by the players but by the merchant himself. 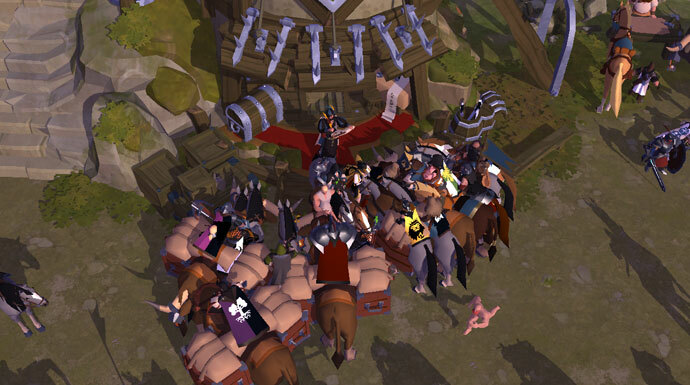 The PvE is not the only one at the center of the attention of developers. The latter try to improve the PvP, by modifying the maps of GvG so that they are more balanced and tactical. The reputation system will be reviewed, to increase the interest of PvP while still fighting against the pks. The hellgates will also be reviewed. Currently in the internal test phase, a new map for these PvP / PvE dungeons is being developed, always with the aim of balancing and improving the pleasure of the game. Another ongoing project is the enhancement of guild territories to make them more attractive. This involves increasing their value. It will then be more profitable for a guild to own and defend its territories, but also to go and attack those of its opponents. A system for the improvement of these territories is being developed, for example by increasing the power of the soldiers guarding them, or by increasing the number of resources of the territory in question. Sandbox Interactive sees great for Albion Online, and plenty of projects are undergoing reflection or development. In addition to bug fixes and performance improvements, developers are working on a market improvement, with an object stack system, a redesign of the interface, etc. The tutorial will also be improved to better guide the Player neophyte. A reflection is also being conducted to fight the starvation of the first days that we lived at the launch of Galahad. 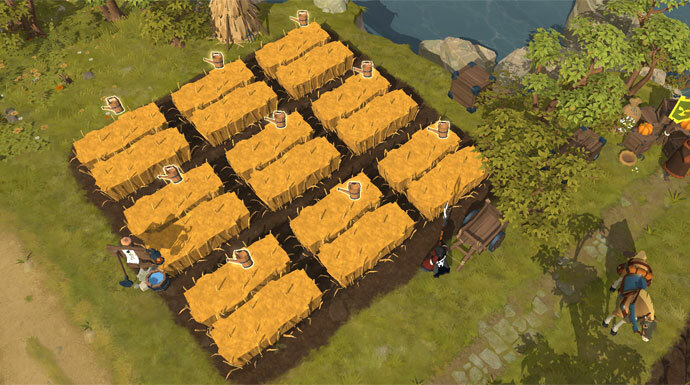 For this purpose, the developers plan to add to the PvE loots ingredients to make soups, during the first weeks only, in order to avoid a halt of the economy due to famine. This will allow players to climb their islands more serenely. 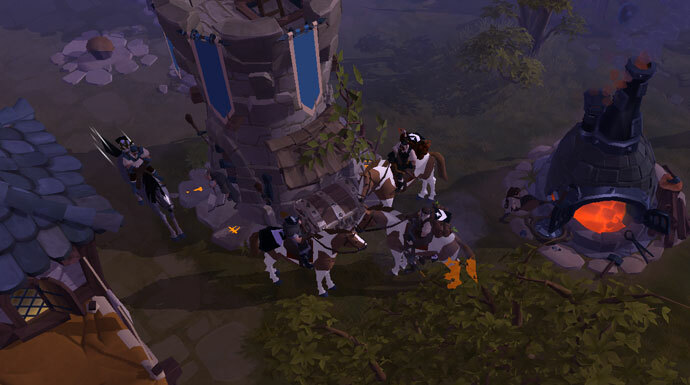 All above are rebalances and tweaks that added to Albion Online. More details click here or visit www.upalbion.com.